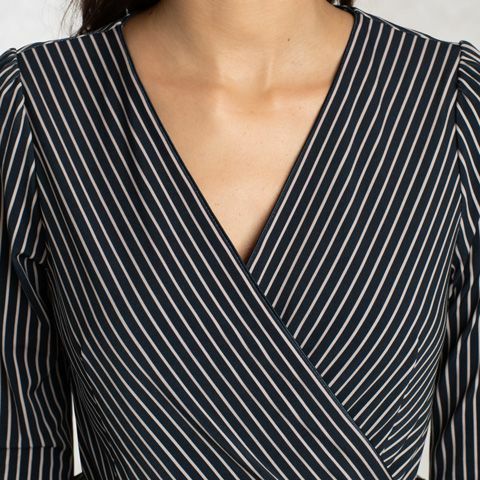 A pleasure to wear every day in our outside the office, our navy and white striped dress features painstakingly patterns-matched panels for a sleek look. Pair with gray kay me jackets and knitwear for cool days. Our specially-selected jersey drapes beautifully with a subtle shine. 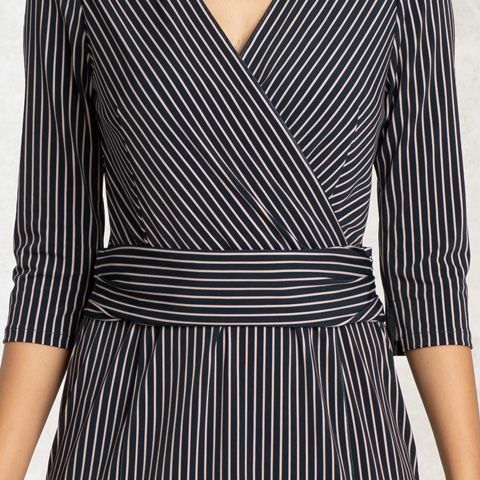 With a compact silhouette emphasized by the stripes. Painstakingly pattern-matched for the best possible look.